UBC researchers have determined how fungi found in the roots of trees regulate forest diversity through their effects on seedlings. A large-scale, multi-year study, examined the roots of dozens of varieties of trees, taking note of which type of fungus was found with the roots. The investigation determined the type of fungi that a tree associates with determines the extent to which seedlings are damaged by root pathogens and herbivores. Basically, the growth and survival of those seedlings depends on its root-associated fungi. John Klironomos is a professor of biology at UBC’s Okanagan campus. 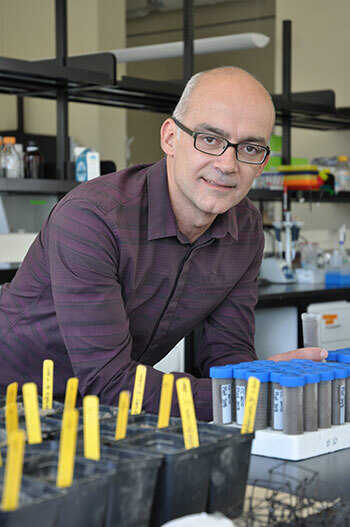 John Klironomos, professor of biology at UBC’s Okanagan campus, says the newly-published study verifies how plant interactions with these root-associated fungi affect the biodiversity of a forest. The research team, including UBC’s Miranda Hart and Jonathan Bennett, studied trees and their interactions with fungi in temperate forests; with samples of soil and seedlings coming from 55 species of trees at 550 locations in North America. Their work examined soil, seedlings, and fungi on the roots; comparing the effects on plant growth and survival between two specific types of mycorrhizal fungi. Klironomos, a fellow of the Royal Society of Canada, explains that the roots of most plants are connected to different types of fungi, with ectomycorrhizal (EM) fungi and arbuscular mycorrhizal (AM) fungi being the most common. The two are not alike, as EM create a protective sheath over the roots systems and AM don’t. In a further experiment, the team transplanted 10 un-inoculated seedlings and 10 seedlings pre-inoculated with mycorrhizal fungi into the field. The un-inoculated seedling survival rate was drastically reduced. Klironomos says seedlings pre-inoculated with the EM fungi had an 840 per cent higher survival rate compared with the un-inoculated seedlings. By contrast, AM seedlings did not benefit from pre-inoculation, nor did pre-inoculation affect densities. Knowing what’s going on under the ground is vital when it comes to protecting forests and developing forest management strategies, Klironomos adds. Klironomos’ research was recently published in Science and was funded by an NSERC Discovery Grant and Accelerator Award and an NSERC postdoctoral fellowship for Bennett. 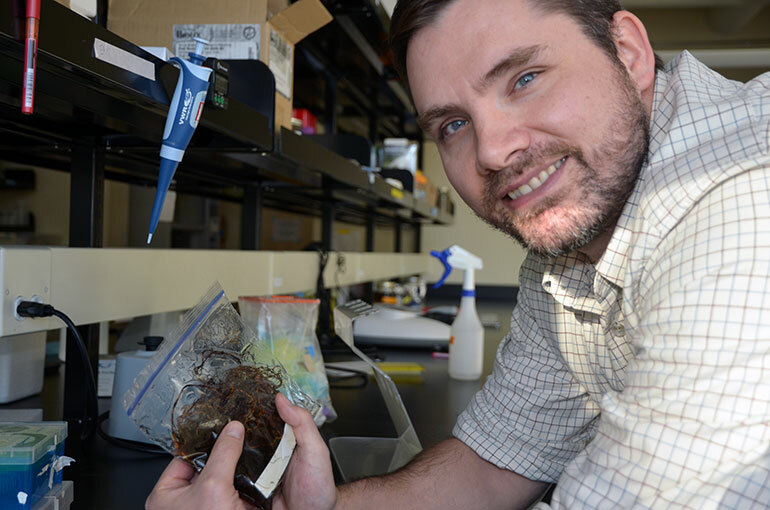 Jonathan Bennett is a postdoctoral fellow in Klironomos’ research lab.